Cascio Interstate Music is a premiere retailer of quality Musical Instruments, Home Electronics & Audio Accessories at the best promised price! Discover their huge musical instrument range including Electric & Acoustic Guitars, Basses, Digital Pianos & Keyboards, Drum Kits, Orchestral Brass & Wind Instruments and Percussion! Cascio Interstate Music offer leading brands such as Bach Trumpets, Mesa Boogie, Yamaha Keyboards, Pearl & Ludwig Drums, Fender, Taylor & Martin Guitars and more! Cascio Interstate Music Get 5% OFF when you Sign Up to the Cascio Interstate Music Mailing List! Do you love Cascio Interstate Music? A4C Kids and Juniors Take Half Off at A4C! 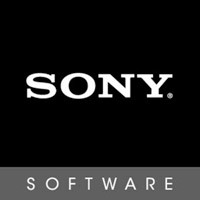 Sony Creative Software VEGAS Pro 365 from $16.67/Month!